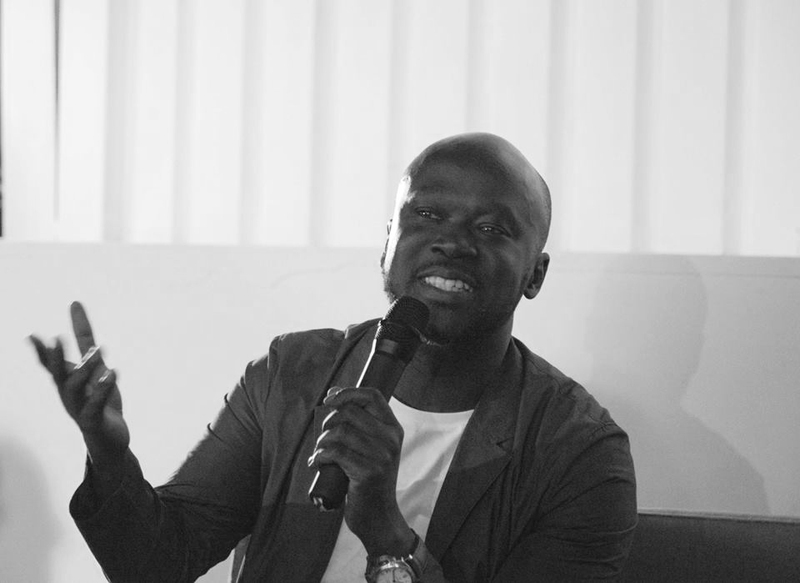 The GSA hosted Sir David Adjaye, in a provocative conversation with Head of School, Professor Lesley Lokko on 10 August 2017. Listen to a clip of a part of the conversation that inspired us. Listen to Sir David Adjaye shares his thoughts on democratising living in his Sugar Hill Project. The Sugar Hill project was really fascinating for me, again another competition, a national competition in New York. What was fascinating about it was the statistics around homelessness in New York were at that time, people think of New York as one of the richest cities, where we don’t have much homelessness, well that’s actually wrong. There is an incredible amount of homelessness and it was something that the mayor was trying to deal with, that this is really a problem and how do you deal with it, by creating ghettos outside of the city, which is what usually happens or housing people outside of the city in conditions which actually create frictions and tensions with suburban communities that are not used to the densities that these communities bring or you build the density for these communities and this was at a time when New York, the fashion or the interest in architecture was just about luxury buildings- what was Richard Meier building? What was Zaha building? 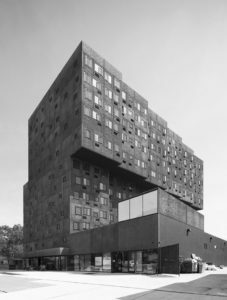 What was Herzog and de Meuron building? It was all about high luxury buildings and I said to myself that I don’t want to enter this market. I find it saturated as a discourse and actually this discourse has already peaked in the sense that it becomes just about what kind of broach you are using, is your broach blue or is it red? We are in an industry…. Levels of luxury are no longer interesting when you get to a certain thing because invariably you are just making variations of the same thing. This notion of entering a competition were one is actually talking about housing, dense housing for homeless people was fascinating. It had not been dealt with ever in New York as a kind of formal type, as a building type that you may have, and it was definitely not something that I had encountered in London either, so I was like, this typology is too interesting its very much about the condition of the city and how we deal with the influx of people to the city and what kind of urbanism we make in that. So the building is absolutely low cost. It is the same price as a really low cost housing scheme. so a lot of people were like your building looks like nothing but work with these budgets and look at the building again. We really pushed, not just on construction techniques, on sustainability, on making a smart building which actually included urban farms etc. The building allowed families that were poor to actually see produce. We worked with the city, we were working as more than just architects. We were working strategically with the city to activate many things. There is a rule in New York that you can’t inhabit roofs in public buildings, we managed to get Amanda Birden at the time to overturn it so that we could create the urban farms. We created a public plaza that we didn’t have to make, we could have actually built the full density on it, to allow a farmers market to reside in the front. We then worked with ah, this is the desire of the client, we found an arts institution in Harlem that would help them to invent a children’s museum. Now we are talking about this notion of the building not having a singular purpose. Most of the ghettos in inner cities are single purpose buildings which basically concentrate the same type of people in one building which creates not the upward mobility you need. There is a crèche for many kids, so all the community are using the crèche, so that you have kids from all different communities and income groups coming together, as well as the residents of this building leaving their children, storytelling museum. The commercial enterprises were tailored to not have one dollar stores but forced to have like-minded sort of institutions come in. That was not easy to do, they had to wait and they had to be diligent and not to be concerned about the bottom dollar but this is what made this project so fascinating.